While cylinder seals are the part of your hydraulic cylinders that commonly fails first, often seal failures are caused by other problems with the cylinders themselves. They might not have the necessary material strength or pressure capacity to handle the demands of your machinery. If you have had repeated cylinder failures, it’s time to figure out why. 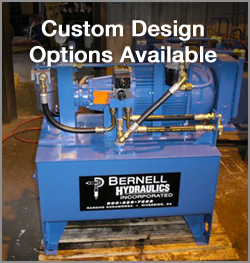 A knowledgeable technician from Bernell Hydraulics can help you figure out why your cylinders have been failing and recommend new Parker hydraulic cylinders in Norco CA that should perform better for you. One huge benefit of buying Parker hydraulic cylinders in Norco CA is their Zero Leak technology for piston rod cylinders. Parker has developed a unique system featuring superior rod seals and buffer rings that can deliver improved performance even on very dry rods. If you have older, rare, or custom-built hydraulic equipment, you may not be able to buy your hydraulic cylinders off the shelf. Fortunately, Parker’s line of standard rods and tubes with customizable design options can help. If you still can’t find what you need, we can build a completely custom-made cylinder for you. Bring your own design schematics or work with our design team to create them. Either way we can machine the parts and install the cylinder for you.